And the continuous movements lying inside every shape. Or the launching platform of dreams. 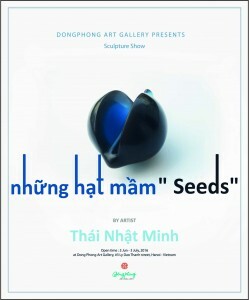 Over the last 5 years, since his first sculptures “Seeds” appeared in the group exhibition New Form in Hanoi, Minh has been developing and exploring his idea on seeds of various materials, in different shapes. 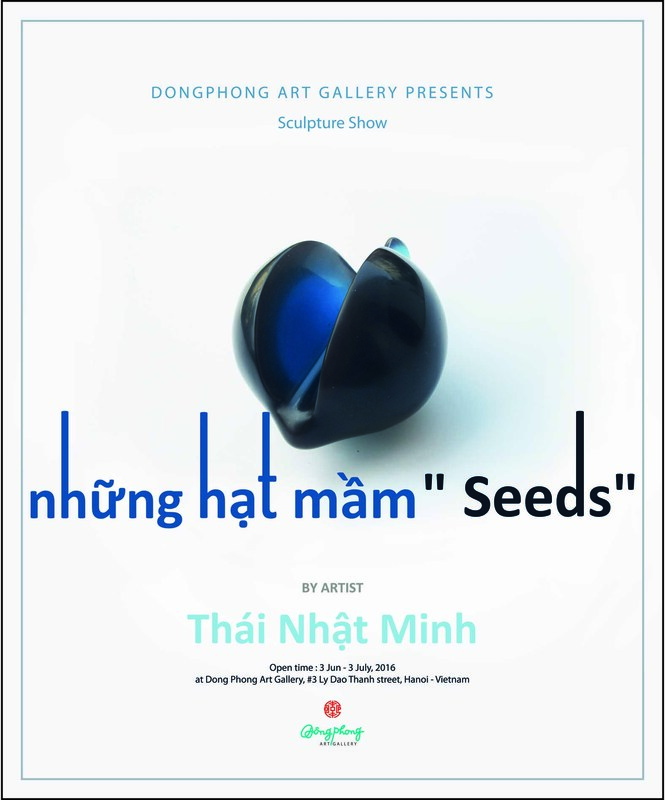 He will display all of them with his clever installation in a fabulously peaceful little place like Dong Phong Art Gallery at #3 Ly Dao Thanh street, from 03 June to 03 July, 2016, to create a nice and attractive solo sculpture show “Seeds”. South East Asia is known as the cradle of water rice civilization, about 10 thousands years ago. In 2010, it was said that some 3000 -year paddy seeds in Thanh Den have been sprouted (they are belonged to Dong Dau cultural period).